Smoove is a universal Chain Lube, developed by Spoke Works, that can be used for your road bike, gravel bike, cross bike or mountain bike. In other words it should keep your chain running smoothly on all bikes in wet and dry conditions. Smoove is a new kid on the block and I will try to compare it against Cerabike Wax Lube that I reviewed a little while ago. That’s a very promising description, and it almost feels like the Swiss Army knife of chain lubes. The red bottle with Spoke Works branding shares at least the same color as the Swiss Army knives. 🙂 Spoke Works is a South African wheel building company (from the same country as Squirt Lube). It surprised me to see a Squirt competitor from the same country. On the Smoove Universal Lube website there is a special section with Frequently Asked Questions and an overview of the 6 application steps. Most important is to apply Smoove Universal Lube on a completely clean (read de-greased) and dry chain. While this also makes sense for every chain lube, I did test application on a lubed chain and on a wet chain. You can directly see that the lube won’t flow as easily between the links as on a clean and dry chain. For the more experienced home mechanic this will be a piece of cake. For those who would like to know more check out the Smoove Lube Application steps or check-out the extensive Cyclorise Youtube video. Smoove Prep is the most recent announcement. It is Smoove’s own chain cleaner, that helps you to get the chain in optimum condition before you apply Smoove Universal Lube. Personally I’m really curious if you will notice the difference against Morgan Blue or Muc-Off de-greasers. But the product description of Smoove Prep certainly sounds interesting and “techie” … 🙂 🙂 When cleaning your chain you might want to use the Finish Line Grunge Brush. Roughly a year ago a I made the switch to Cerabike Wax Lube as my preferred chain lube. “Very unique is the combination of PTFE, graphite and ceramics in the Cerabike Wax Lube. Also the fact that its suited for both dry and wet conditions raised my attention.” Unfortunately I can’t find anything about the ingredients of Smoove Universal Lube. However when you put a drop of the Spoke Works Smoove Lube on your finger it looks as milky as Squirt or Cerabike Wax Lube. However when you “roll” the drop of lube between your thumb and index finger you feel the difference in texture. Smoove Lube feels more sticky than the Cerabike Wax lube. While for a road bike this feature might be of less importance, off the road it can really help to keep you going and increase the lifespan of your chain. The long and small bottle head of Smoove reminds me of the Boeshield T9 bottle. It helps to accurately apply the lube on your chain. The Cerabike bottle head is wider, rounder and significantly shorter. That shape easily rolls over the chain links during application, but is less accurate than the Smoove bottle. In practice it feels like these two chain lubes are performing both very well, and both don’t leave the grey film on your chain as Squirt does. In the road bike scenario and my maintenance frequency of cleaning and de-greasing the bike chain with Morgan Blue or Muc Off chain cleaner every other week, the advantage of longer lasting between applications (that is marketed on the Smoove website) will not be applicable. Without a scientific lab test-setup (like friction facts has) it is really hard to do an objective head to head comparison. Cerabike Wax Lube has a price-point of € 21,80 for two 130 ml. bottles where Smoove Universal Lube has a price-point of £13.99 for a 125 ml bottle (or £23.99 for two bottles of Smoove Lube). In terms of pricing the Cerabike Wax Lube would have a little advantage. 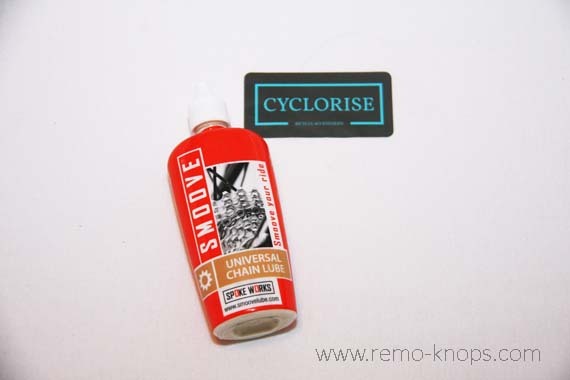 I tried to extensively test and review Spoke Works Smoove Universal Chain lube. So far I would put it on-par with the Cerabike Wax Lube in the road bike scenario (given my maintenance frequency). In an off-road, mountain bike or gravel scenario I think that Smoove will have an advantage, but again it comes down to how thorough you will do your maintenance. Smoove will stay on your chain when you simply wash your bike and chain, but after a complete de-grease session, you need to re-apply. If I would do a lot of off-road biking or if I would commute to work on my bike, I would prefer Spoke Works Smoove over Cerabike. It would be interesting to find out if and how Smoove would be able to protect your chain and cassette in the salty winter conditions. The price-point of Smoove Universal Lube is £13.99 for a single bottle and if you purchase a set, you will pay £23.99 for two 125 ml bottles. 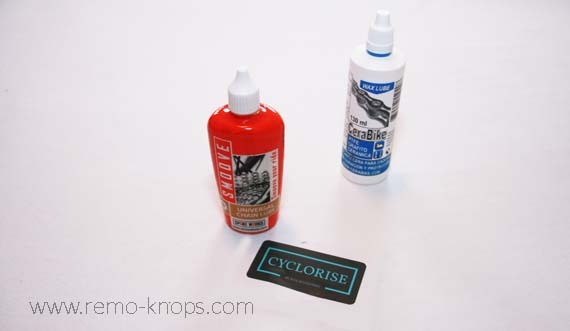 You can order directly from Cyclorise, the official UK importer for Smoove Lube. Shipping is fast and communication with Cyclorise was excellent. The price-point is slightly higher that Cerabike Wax Lube, but you get a very good and versatile chain lube with Smoove, especially if you are less structured in bike maintenance. Finally I would like to point you to a highly interesting review of Smoove Universal Lube on the biketestreviews.com website. They’ve done cool mileage-testing and some Excel magic. 🙂 It would be cool to have a friction facts like comparison, but I’m enthusiastic about this new lubrication brand and their excellent first product. As readers of my personal blog and fellow cyclists, Cyclorise offers a discount code for a further 15% off SMOOVE (even the better 2x bottle rate). This also includes free world-wide shipping, so is this is a very good deal. The discount code is ‘REMO15‘ and will be valid until the end of January 2018. And … if you are interested in other product reviews of cycling products, please check out the cycling review table. I’m currently testing the re-application advantage on the springs of my Speedplay cleats. 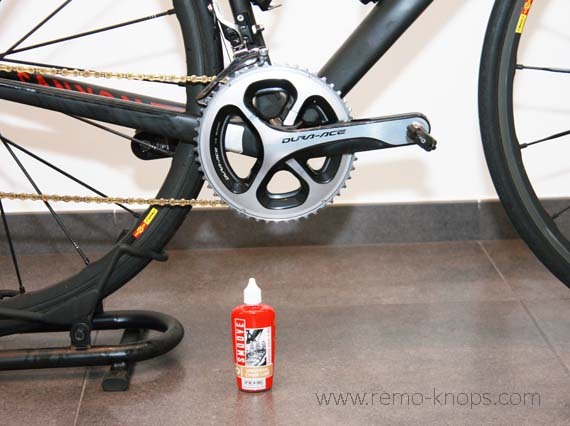 Hey!, I found this information for you: "Spoke Works Smoove Chain Lube review". 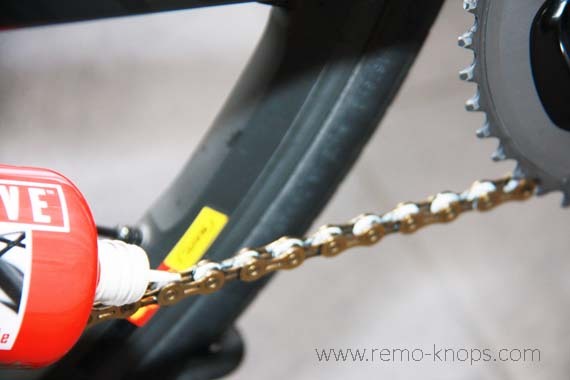 Here is the website link: https://www.remo-knops.com/7337/spoke-works-smoove-chain-lube-review/. Thank you.